Posted By Nathan On March 31st 2015. Under Blog Tags: branding resume, branding statement, branding statement resume . A resume branding statement is essentially one of several different versions of a personal statement, usually at the top of the resume. The “branding” component is based on the sales pitch element in the statement, advertising services, or skills, or both. Resume branding statements as well as best linkedin company pages or finding job on twitter have become much more popular in recent times, as the new format resumes, particularly functional resumes, have taken over the global market. 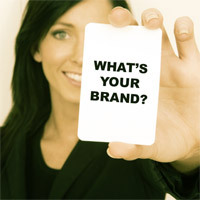 A “branding statement” is basically an identifier for a product or service. It acts as an ID, delivering a brand image, with a short statement of what the product or service does. On a resume, this branding statement is actually quite useful. This is a quick identifier for you as a job applicant, providing a brief description and a positive message. Note the bit about a positive message. This is the real purpose of a branding statement, and it’s advisable to take a little time to consider all your options when creating your branding statement. The good news is that you don’t really need to use a lot of space to deliver a good branding statement. The other news is that you really do need to make sure that your branding statement is effective. A good branding statement is penetrant and insightful. A so-so branding statement is minimal impact and may make no impression at all. In advertising, branding statement is often something very like a hook line more grabber, a catchy line which sticks in the mind. On a resume, you can’t really call yourself “whiter and brighter” or “new and improved”. You can use other, more professional sounding descriptors, however. As you can see this statement says a lot, very effectively. This is clearly a top of the line salesperson with a good track record who can prove superior performance values. This branding statement alone would be enough to attract attention from an employer in this industry. You can also see why it’s a good idea to think long and hard about what you’re going to put into your own personal branding statement. The bottom line here is that this is your initial sales pitch. It has to present well and most importantly, it is beyond target in terms of what the employer actually wants. 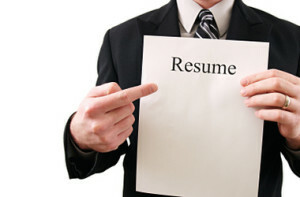 Many people fall into the very basic trap of writing a One Size Fits All resume. This bad habit can be nothing less than fatal for any job application. With regard to branding statements, the most likely result of a One Size Fits All branding statement is that you will miss the target entirely. This is very likely, simply because your resume branding statement relates to a different job. If your branding statement says that you have a great record in sales, and the job application is for retail customer service, you have a problem. Obviously, retail customer service does involve sales, but it also involves customer relationships, and a range of duties which have nothing to do with sales. So, your branding statement will start by being off target. The moral of the story is this – Make sure to write your branding statement separately for each job application, specifically targeting the requirements of that particular job. No ifs, no buts, no maybes, just do it. Local writing a couple of sentences may seem pretty easy, bear in mind that a job application is a competitive process. It really is well worth taking the time to consider all your options and make sure that you provide a good, targeted branding statement. Expert major brand auto sales person with national market experience. Member of ABC Auto Association. Marketing expert with national campaign experience. Member of XYZ Advertisers Association. Obviously, you are looking at two highly talented and experienced people. The problem with the second statement is that it doesn’t even mention the auto industry at all. A couple of words left out, and that’s exactly how easy it is to make a total mess of your branding statement. Drafting your branding statement is really an exercise in creativity and quality control. You know what not to do; figuring out the best approach to targeting your branding statement, however, will take a little thought. Essential job criteria – These criteria are always effective, but make sure you cover high priority skills and criteria. Specializations and areas of expertise – Including these on your branding statement can be particularly effective if you’re a senior professional. High value transferable skills of any and all kinds – Transferable skills are always good to include in a personal statement. Be sure that you include your strongest skill sets. Job titles, where directly relevant – In some cases a job title is a perfectly adequate branding statement, particularly at executive and management levels. Achievement-based materials – Including achievements or credentials like Salesman of the Year or “acclaimed financial market analyst” will definitely have an impact on your readers. Make sure you include information regarding these achievements in your resume. Effective descriptors in bullet point form – This is a quite common but somewhat more difficult form of branding statement. The big advantage of this type of branding statement is that the roles can simply be tailored to meet the requirements of the job application. OK – Do you have a branding statement in mind? Try it out. You’ll be glad that you did, and your resume will look better for it.